To eat well without overeating, you need to select foods that provide more nutrients for the least food energy. 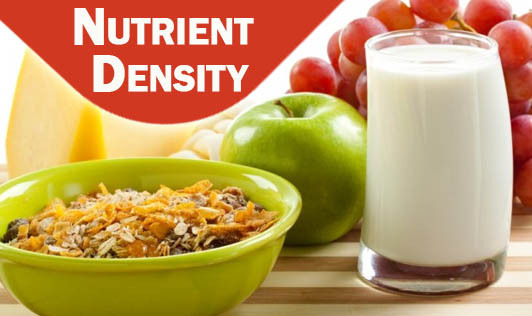 Foods low in calories and high in nutrients are nutrient dense. For example, consider a glass of soft drink and bunch of grapes, each provides about 150 kilocalories, but the grapes offer a trace of protein, some vitamins, minerals, and fibre along with the energy, the soft drink offers only empty calories. Grapes, or any other fruit for that matter, are a healthier choice than soft drinks. The most notorious empty calorie foods are sugar, fat, and alcohol. All fresh fruits and vegetables, and foods in their natural unprocessed form are therefore better. The good news about nutrient dense foods is that they are packed full of nutrients and are naturally lower in fat, and even lower in calories than most pre-packaged or fast foods.